Kevin graduated from Nova Scotia Agricultural College (Dalhousie University, Faculty of Agriculture) with a diploma in Agriculture Technology and Agricultural Business. His main responsibilities are preparing landscape estimates and bids. He has experience in the agricultural field and has been involved in the Lawn Care industry. He has attended many courses in the safe application of pesticides and has successfully completed the requirements for a pesticide applicators license in New Brunswick, Nova Scotia and Ontario. 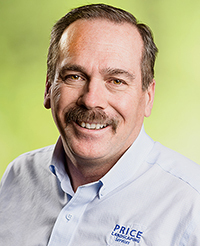 Kevin has served on the Provincial Board of directors for Landscape New Brunswick and has served as its President. Always trying to learn more about business and our industry, he has attended seminars on management, estimating and cost analysis and has recently attained his Certified Landscape Professional designation, CLP. Interviewed in 2015 for the mentor series of Landscape Trades magazine, Kevin highlighted his commitment to training and the value of empowering employees. Published by Landscape Ontario Horticultural Trades Association, Landscape Trades is Canada’s premier horticultural trade publication.